There are so many ways to use your mascot for promotional purposes, but today we’ll be looking at In-Game Entertainment – which might just help make you a little profit! We are sometimes surprised by how few teams take full advantage of their mascot at a game. We are also surprised that there aren’t more mascot antics in games. This subject may seem like it’s only of interest to our sports clients, but corporate clients: this is for you too! How can local businesses and local teams mutually benefit from mascot promotion: Sponsor Mascots! Before we get too carried away — maybe we should stop and address the question — what are Sponsor Mascots? There are typically two different business models when it comes to sponsorship mascots. In the first model, the mascots are owned by the team. It could be a set of characters that the team “rents” out to sponsors for in-game promotional purposes or it could even be the team’s own mascot character (wearing a company t-shirt or sponsor patch.) These characters can be cartoon human characters, animals, fun and lively “muppets”, and everything in-between but will only be seen in in-game entertainment. 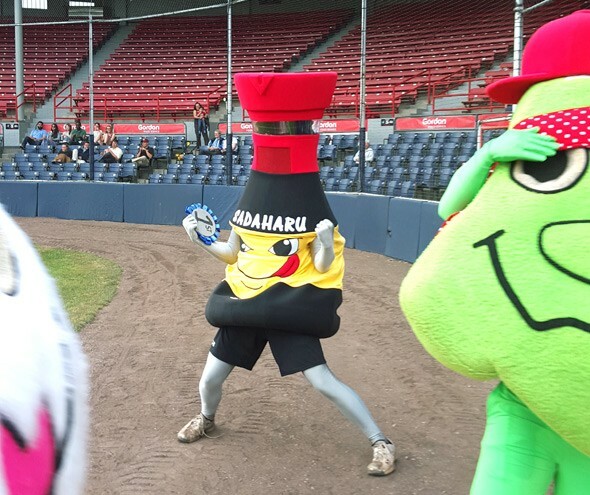 The second model are mascots purchased by a sponsor who participates in game activities for a fee. They are often a commodity object (e.g. a hotdog, chip bag, toothbrush, deodorant, etc.). 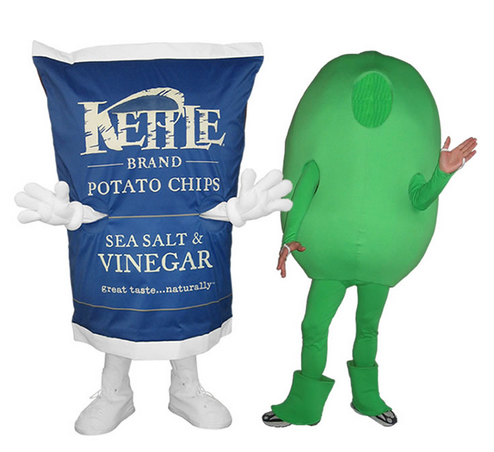 These mascots can often be found outside of game activities and be used for promotions wherever the sponsor deems appropriate. So, you’ve read this far, and are thinking to yourself: “hmmm, this sounds like a good idea.” What now? When is the best time to set up a sponsorship agreement? Who approaches who? The team or the business? There are no hard and fast rules when arranging a partnership between team and sponsor. 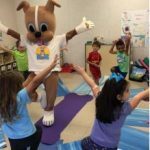 If you’re a business, and you feel that mascot sponsorship would be the right path for you, then it’s definitely advisable to hustle a little as sponsorship opportunities can be quite competitive, especially with major teams. Tommy Benizio feels that “in a Utopian society, the majority of a team’s corporate sponsors would seek the team out.” KC from the Iowa Cubs relays that while potential sponsors usually reach out to them, they “do propose the opportunity when the time is right.” If you are a business seeking sponsorship opportunities, you may have to “chase” the big teams a little more, as you will no doubt face some competition when trying to land a sponsorship deal. Who typically owns the sponsorship mascot? What are some important construction considerations? It’s important to consider technical details like size, height, depth and armhole placement when it comes to running/sponsor mascots. It’s also important to consider activity level and type. 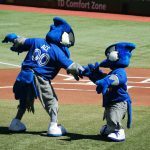 If a mascot is doing a lot of running, you will want to make sure that its legs are not obscured. If it’s going to be throwing things you’ll want to make sure that as much arm protrudes out as possible etc. If the sponsor mascot is mostly used for fan contests, a visible face is a good idea. 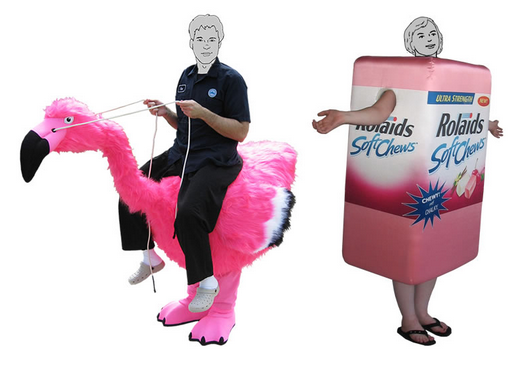 Imagine how funny it would be to see your Uncle Jim dressed up as, say, a piece of bacon or sitting on a pink flamingo! If the mascot is not going to be used for skits or planned events, it might be more fun to give it a goofy or friendly cartoon face that plays on the brand of the sponsor etc. rather than the performer’s identity. 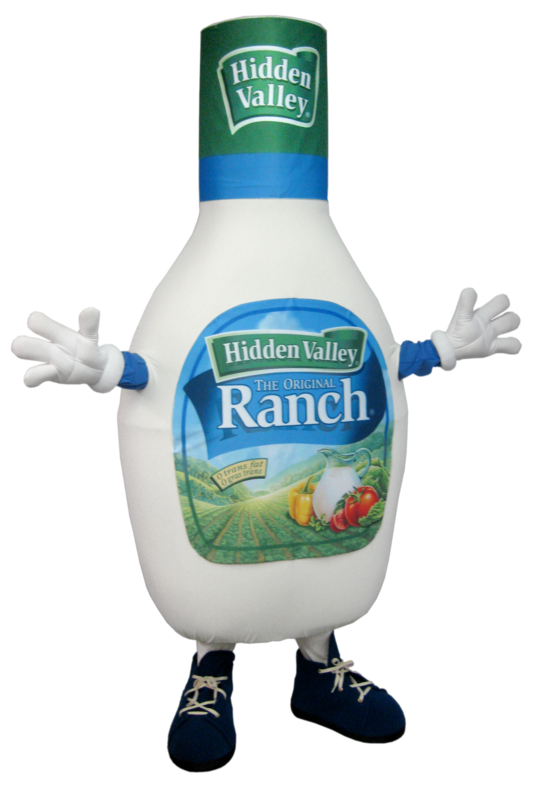 We find it best to provide a removable cover rather than removable logos for a sports team buying a sponsorship mascot. 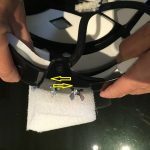 This will allow branding to be switched in and out depending who the sponsor is at the time. It’s important that branding be legible, but keep in mind that too much branding detracts from the character. You’ve secured a sponsorship mascot. Now, how can it be used? So, a sponsorship mascot sounds like the right choice for you? Work out a deal, find a corporate sponsor (if you’re a sports team), or a sports team (if you’re a corporate sponsor) and get started! Be sure to get a mascot company on board to help with the design or the ideas (ahem) — we are here to help! Be sure to remember; put the fans first! Rather than focusing on an overt advertising, focus on keeping your In-Game Entertainment light and fun and relatable to your audience. Tom O’Grady, president of Gameplan Creative, shares: “you want to sell everything you can but you want something that hooks the fans in.” In other words, don`t be afraid to get creative! Sound good? Get your sponsorship mascot and let’s play ball!